Multi-genre Novel: National contemporary mainstream fiction; Body, Mind, and Spirit; Personal Growth; Self-discovery; Spirituality; Motivation; Inspiration; Self-help; Happiness; Loving-kindness; Relationships; Romance; Health and Fitness; Choice and Change; Opportunity; Awakening; Adventure and Journey; Visionary Fiction; New Age Fiction. Currently nominated for four 2012 Global eBook Awards. ReBecoming: The Way of Opportunity® was an Award Winner in the 2011 International Book Awards in the ‘Spirituality: General’ Category, the ‘Fiction: Visionary Fiction’ Category, and the ‘Best Cover Design’ Category. 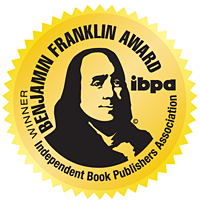 ReBecoming: The Way of Opportunity® won the 2010 Benjamin Franklin Award for publishing excellence from the Independent Book Publishing Association in the “New Age/Metaphysics/Spirituality” Category. Multiple Award-Winner of the 2010 International Book Awards in the “Fiction: General Fiction” and in the “Fiction: New Age Fiction” Categories; and a Multiple Award-Winning Finalist of the 2010 International Book Awards in the “Fiction: Best New Fiction, and Fiction: Chick Lit/Women’s Lit” Categories. “Winner of the 2009 Best Book in the Category of Inspirational” from NABE Pinnacle Book Achievement Awards. “2009 Inspirational and Wisdom Book of the Year” Award for Literary Excellence from Books and Authors. “2009 Best Visionary Fiction” and “2009 Best New Age Fiction” Awards from National Indie Excellence. “First Place in General Fiction” and “Best Fiction Overall” Awards from The Written Arts Awards. “2010 Winner in the Fiction & Literature: Chick Lit/Women’s Lit” and “Award-Winning Finalist in Fiction & Literature: New Age Fiction” Category, “Spirituality: Inspirational,” and “Best Cover Design.” “2009 Winner in the Fiction & Literature: Visionary Fiction” Category and “Finalist in Best New Fiction” from the National Best Books Awards from USA Book News. ReBecoming: The Way of Opportunity® has won Second Place in the 2010 COVR Visionary Awards in the “Visionary Fiction” Category. ReBecoming: The Way of Opportunity® was selected by the 2010 Premier Book Awards as the Second Place Winner in the General Fiction Category. ReBecoming was honored with two silver awards by the Florida Publishers Association for Best Cover Design and Best Book set in a Florida locale. ReBecoming: The Way of Opportunity® was a select Finalist for the ForeWord Reviews 2010 Book of the Year Award in the “Body, Mind, and Spirit” Category. Honored as one of three Finalists chosen for the 2010 Glyph Award in Cover Design from the Arizona Book Publishing Association. ReBecoming: The Way of Opportunity® was chosen by the Next Generation Indie Book Awards as a Finalist in the Inspirational Category.